Paper Dress Presents: Full Tilt Collective + guests + Paper Dress 80s Club! 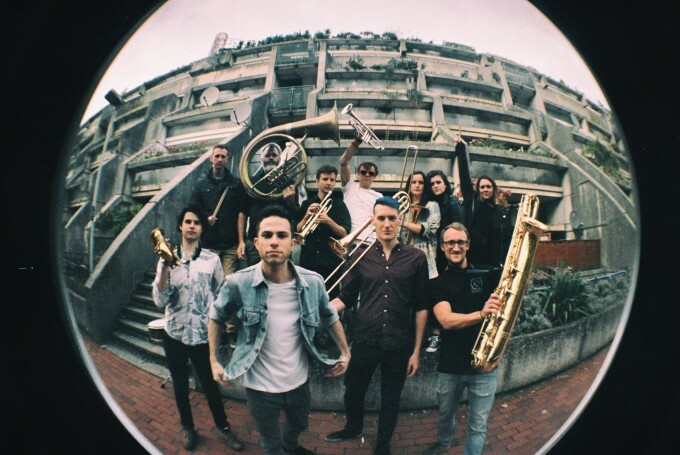 11-piece brass superstars Full Tilt Collective are launching their new EP with us and we’re throwing a huge party to celebrate! They’ll be joined by very special guests JORO and Nat and the Noise Brigade, and, after the live music, we’ll be hosting our regular final Friday of the month – Paper Dress 80’s Club! Influenced by the likes of Hot 8 Brass Band, Funkadelic, Toots & the Maytals and Sly & the Family Stone expect a set of funk, soul, rock, reggae, ska, hip hop and drum and bass. Joro are a 10-piece afrobeat band from London who formed in early 2016. Comprised of a group of experienced musicians from different genres who share a love of afrobeat and afro-funk music. They mix the sounds of the legendary Fela Kuti with their own originals and modern afrobeat to produce music you can’t help but dance to. An East London 8 piece playing upbeat progressive alt-pop packed with brass, synths and flute. Their sound is a mix of Everything Everything, Flaming Lips, Blur, Tune-Yards, Superorganism and Dirty Projectors. After the live music Paper Dress 80s Club unleashes all the hits till 2.30am!